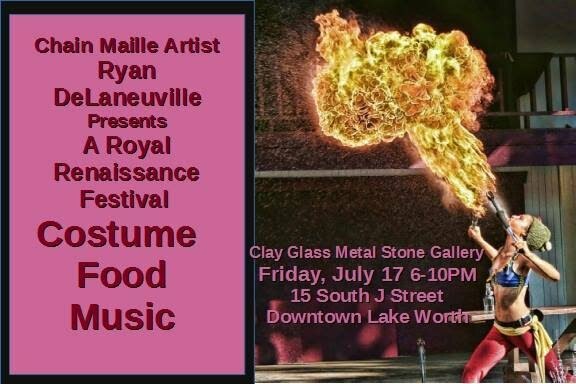 Friday 17 at the Gallery: Expecting big crowds again, for Ryan's Chain Maille production of a Renaissance Festival with special costuming, food and music. If you haven't met Ryan yet.....you don't know what you are missing. The show goes until July 22 !